While it might be better known for streaming radio stations online, TuneIn is taking on its rivals with a new Premium tier that gives you a little bit of everything. 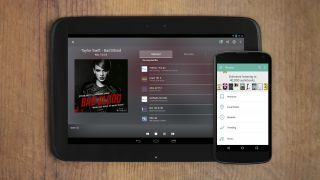 "With the introduction of TuneIn Premium, we are taking the world's best audio content and putting it all in one place," said John Donham, CEO of TuneIn. "In today's crowded audio landscape, our focus on exclusive news, talk, sports, and music allows us to deliver an unparalleled listening experience to our users." So unlike its radio streaming rivals like Apple Music's Beats 1 radio and Pandora, TuneIn Premium, which is priced at about $8 per month, will include live sports coverage of all Major League Baseball games, Barclays Premier League and Bundesliga matches. In terms of actual live radio streaming, TuneIn Premium will be commercial free, with the radio stations providing TuneIn with separate streams that will play music in place of their ad breaks. If you don't want live radio and simply want to listen to music, TuneIn Premium also has ad-free music streaming as well. TuneIn is also taking on Amazon's Audible service as well, with the option to stream over 40,000 audiobooks from publishers like Penguin Random House, HarperCollins and Scholastic, including popular titles like the Harry Potter and Hunger Games series. TuneIn's paid tier will also give you access to 16 different language learning programs. Compared to Audible, which costs about $15 a month to stream one audiobook per month, TuneIn's offer is a good deal for audiobook lovers, though it's library is smaller than Amazon's. TuneIn Premium will set you back $7.99 (£5.99) per month, and will be available in the US, UK, Canada. The company has plans to roll it out to other countries in the future. Spotify, Apple Music and more: which is the best music streaming service?